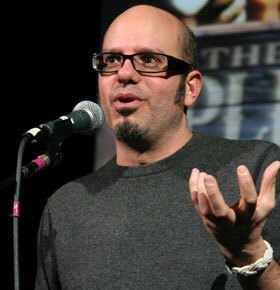 Mess with Texas is a FREE party with live music and comedy “curated” by David Cross (Mr. Show , Arrested Development ), the New Ship, and the 857 Collective. The comedy lineup alone is reason enough to check it out. Friday, March 16 | 8pm 9pm | Hosted by Andrew W.K. The winning team will receive $1,000 and a 20-minute slot on stage at Red Seven before The Walkman on Saturday, March 17 (see lineup below). And what’re you supposed to do with 20 minutes on stage? Nothing. Everything. Anything you want. March 12, 2007: Due to scheduling problems, Patton Oswalt announced he will not be attending SXSW.